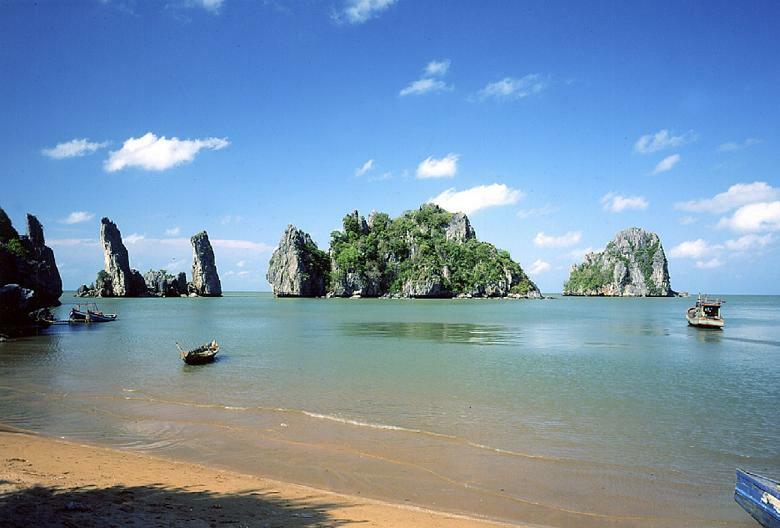 When choosing which places to visit in Southern Vietnam, the seaside town of Ha Tien presents itself as a tourist spot. Unfortunately, not many Western visitors come by, as the location is quite remote. Before you pack your bags and decide that this is going to be the place you will visit, keep in mind that you will need to cross the border 7 km north of Ha Tien. During the year 2007, this border was open for tourists of all nationalities, but since the year 2013 a visa is required for anyone who is going to be staying for 15 days or more. In the past, the arrival to the border could be arranged from Kampot, Kep, and even from Siem Reap to Phnom Penh, and these are still very viable options. The roads used to be very bumpy in the past, but luckily they are now asphalted, so you won’t be as likely to experience a bumpy ride to your destination. The easiest way to understand where you would need to go to see the points of interest would be to obtain a tourist map, which has locations of many cave temples pointed out. 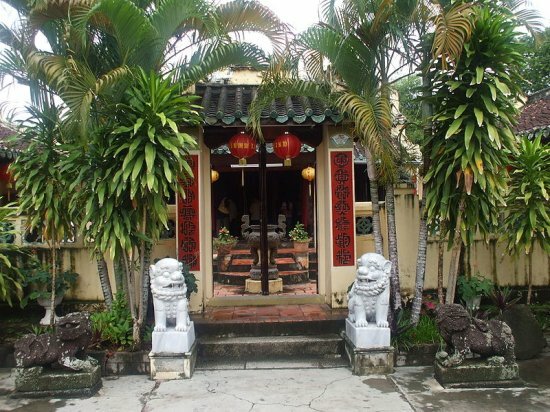 These temples are scattered around the town itself, but one of the temples that is definitely worth visiting is the Thach Dong rock, where a few tombs and a very small temple are located. Be ready to pay for an entry, though, and enjoy the beautiful atmosphere that is going to leave you breathless for the duration of your stay. The majority of the temples are what made this town such a popular location not only for tourists, but for the religious people as well. 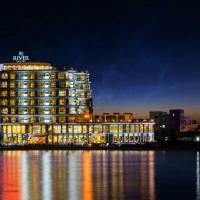 The activities you can enjoy during your stay include bicycle riding, and if you love to gamble, you can stop at the Ha Tien Vegas, which is a hotel and a casino, with wonderful accommodation and plenty of games to play. If you are looking to buy something, there are plenty of markets to be found near the riverfront. The goods you can expect to find for sale usually range from fish, fruits and meat to souvenirs and general household items. At the same location, you can rent a kayak, and if you have enough time, be sure to enjoy the beautiful view the city offers from afar. As for the phone you can expect to find upon arrival, you will find that the seafood is predominantly present, with plenty of open air vendors. 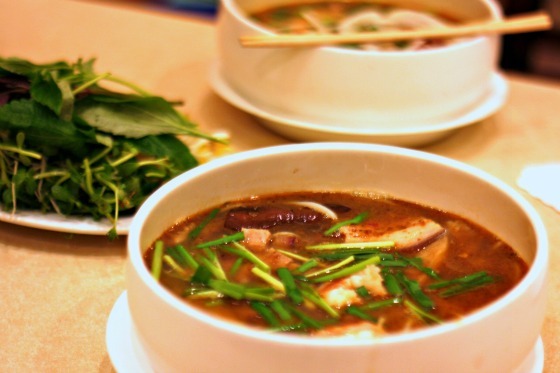 The food is cheap and fresh, but if you don’t like seafood that much, some of the locations will be able to provide you with some standard dishes you will be likely to enjoy. English menus are available, and a wonderful meal to try out for the first time would be the stir fried squid with cucumber. If you are coming from the West, and you aren’t used to this cuisine, look for the Oasis Bar, right by the river promenade. You can find plenty of suitable meals and snacks served throughout the day. Situated in Ha Tien, Long Chau Hotel offers simple yet comfortable accommodation with free WiFi access in the guestrooms. It operates a 24-hour front desk and provides complimentary parking on site. 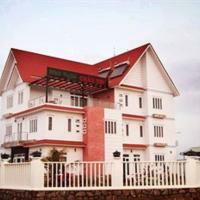 Chau Thu Guest House is located in Ha Tien. It provides guests with clean, comfortable rooms that are fully air-conditioned. Free WiFi is available throughout this property.